New book, 96 pages, COM23. When the UN called for the end of the British mandate and the partition of Palestine into two independent states, the RAF found itself under attack from both sides. 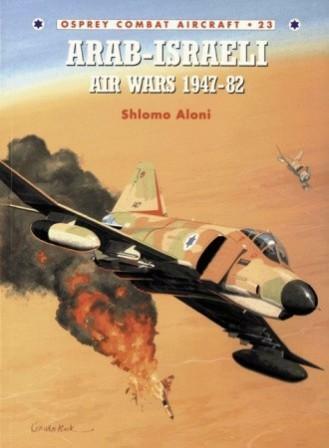 Tracing the development of hostilities in the Middle East, this book covers the period from the establishment of the first proper Israeli Air Force in 1948 to the Israeli invasion of Lebanon in 1982. Israel's War of Independence against its Arab neighbours, the inevitable 'round two', the Suez Crisis of 1956, the Six Day War of 1967, the Yom Kippur wars of 1973 and the Israeli invasion of Lebanon in 1982 are all detailed in this fascinating chronicle of war in the Middle East.